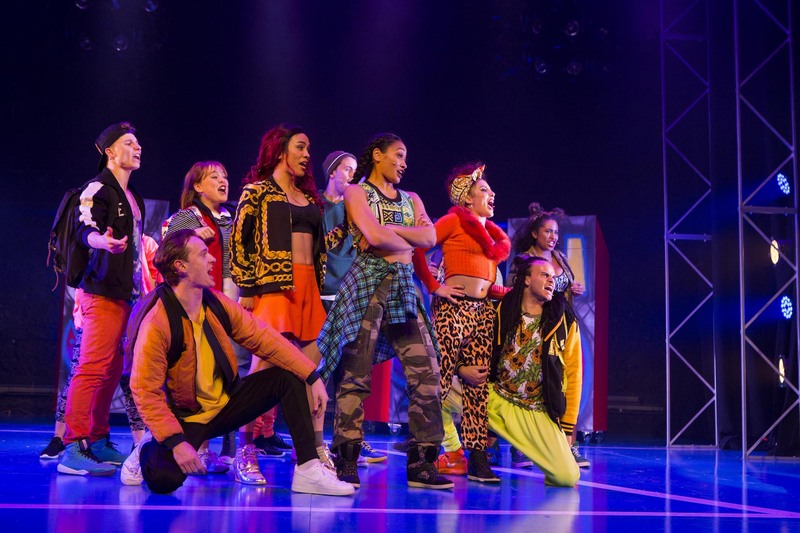 A sensational cast of rising talents get vertical til they get vertigo in the Melbourne professional premiere of Bring It On the Musical. As Broadway increasingly takes itself seriously, an example of a teen-based guilty pleasure is all too rare. 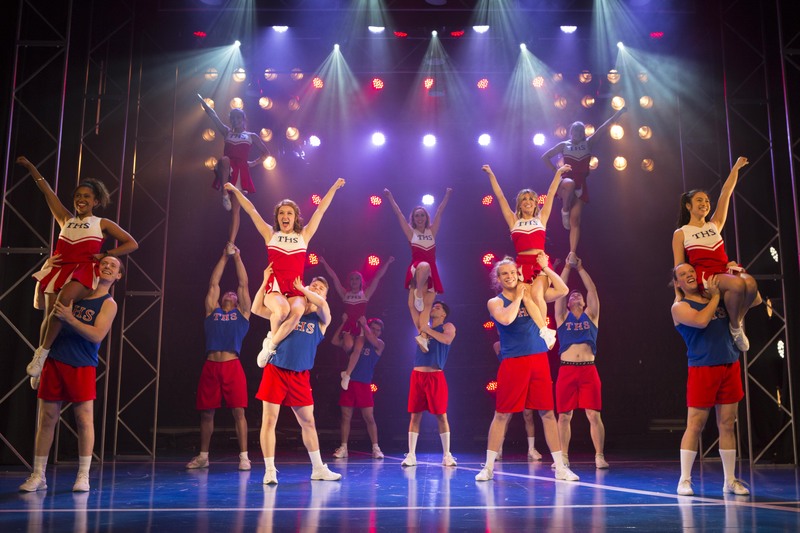 Following a US tour, Bring It On played five months on Broadway in 2012, and was nominated for the 2013 Tony Award for Best Musical. Book writer Jeff Whitty (Avenue Q) based the musical loosely on Bring It On’s second direct-to-video sequel Bring It On: All or Nothing. After a killer opening number, the first third of act one comes across as tame and predictable, but once devoted cheerleader Campbell is re-districted from white bread Trueman High School to edgy, racially diverse Jackson High School, the show sets off on a far more interesting path. Composers Tom Kitt and Amanda Green (Next to Normal) are joined by Broadway prodigy Lin Manuel Miranda, and anyone who has heard In The Heights even once will be able to pick Miranda’s contributions instantly. Highlights include “Do Your Own Thing,” as Campbell assimilates to Jackson High School, and act two opener “It’s All Happening,” as Campbell convinces the Jackson crew to become a cheerleading squad. Producer David Venn has assembled an excellent creative team and attracted a sensational young cast, resulting in a production that transcends the source material and belies the all too short season. Bring It On has energy and creativity that many big budget shows would kill for, not to mention an authentically diverse cast that most local commercial productions cannot seem to manage. Aware of the simplicity of the book, Director Alister Smith keeps the scenes moving briskly and loudly from song to song. Contrasting culture at the competing high schools is clearly defined and a large set of key characters are brought vividly to life. Nathan Weyers’ set design is an abstract collection of lockers, bleachers, cyclone fencing and overhead lamps, yet Smith is able to create every scene with clarity, relying on the actor’s conviction to sell the locations. Declan O’Neil’s dynamic lighting design is a significant part of the spectacle, often incorporated into the scenic design to create a stadium feel. Michael Ralph, the industry’s most exciting young choreographer, excels himself again, filling the show with tight, witty, innovative dance that is a joy to watch. Ralph uses heights, angles and a broad dance vocabulary to distinguish the proliferation of dance numbers and to delineate the clash of cultures. Supported by cheerleading coach Natalie Commons, and working with some experienced cheerleaders in the cast, Ralph creates spectacular cheerleading sequences, peppered with several jaw dropping lifts and tosses. The stage energy is complemented by a rocking band of seven musicians led by music director Daniele Buatti. Given the focus on dance, and the non-musical theatre cheerleaders that round out the cast, the singing is first rate. Harmonies and balance are at a premium, aided by crisp sound design by Greg Ginger. Costume designer Rhiannon Irving successfully creates the familiar Glee high school look for patriotic red, white and blue Trueman High School before completely switching vibes to streetwise, inner-urban campus Jackson High School, where the diverse student population sport individual looks in darker shades highlighted with orange and green. Jackson’s neon cheerleading outfits, wittily finished with homemade insignia, create a neat visual finale. Barely leaving the stage, Nadia Komazec maintains a fresh, endearing presence as Campbell, bringing clear likeability to a girl who could have come across as simply forthright and entitled. Komazec has the kind of talent that it is all too easy to take for granted, tirelessly juggling song, dance and scenes with nary a drop of sweat. Fellow triple threat Elandrah Feo captures feisty Danielle’s guarded defence of her territory. A strong team player, Feo displays her powerful voice and terrific dance skill without upstaging her castmates. In the spirit of Glinda and Elphaba, Danielle and Campbell take the best of each other to forge a firm friendship; Feo and Komazec work together to make this relationship as involving as any traditional musical romance. Nicola Bowman is a delight as plump, plucky Bridget, colouring the adorkable teen with layers well beyond a comic stereotype. Bridget’s gradual adoption of Jackson street language is some of Whitty’s best writing, and Bowman nails the daffy comedy with characteristic flair. A decidedly heinous teen villainess, Eva machinates the entire plot to her egomaniacal advantage. Karla Tonkich conveys the young girl’s utter belief that she is in the right, eventually revealing Eva’s “Killer Instinct” in a rather lavish production number with a wicked climax. Tonkich takes on the cheerleading choreography like a pro, convincingly showing Eva at her nervous worst and arrogant best. The Jackson crew includes haughty Nautica, played with sassy verve by Samantha Bruzzese. In what could be described as a bold move, Nautica’s BFF La Cienega is a transgender teen. The show sends a powerful message in that this status is not remotely an issue to any of the students. Marty Alix plays La Cienega with charismatic confidence, expertly managing the blend of gender traits shown by the poised young woman. The Jackson crew includes handsome sweetheart Randall, played with laidback flair by Thomas McGuane, aspiring basketballer Cameron, played by natural Miranda performer Ashley Rousetty and infectiously awkward Twig, played with buoyant exuberance by Tarik Frimpong. The Trueman teen scene is ruled by Skylar and Kylar. Emily Thompson nails Skylar’s ice queen bitchiness, while Hollie James amuses with Kylar’s perky Texan twang. 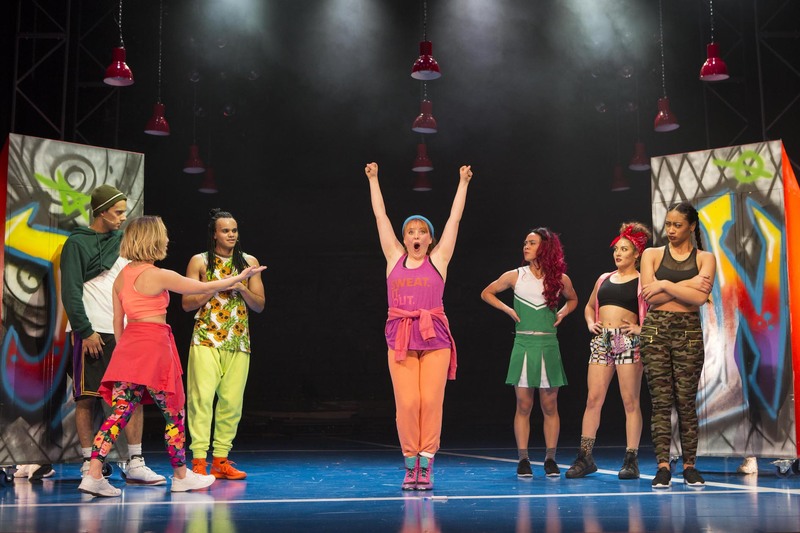 It would be all too easy for musical theatre snobs to roll their eyes at Bring It On, but when a show is done this well the only choice is to sit back and enjoy. For teens and parents, especially those involved in the ever-growing local cheerleading scene, this show is heaven-sent. Footnote: it is disappointing for the young cast that programs are not being sold and that the cast list is not even included on the website. While it can readily be acknowledged that producing a musical involves an infinite number of tasks, this situation should be rectified as soon as possible. One more thing: with freshly minted star Maggie McKenna departing our shores for an extensive US tour of Dear Evan Hansen, surely Nicola Bowman is the natural successor to star as Muriel Heslop when Muriel’s Wedding plays its eagerly anticipated commercial season. 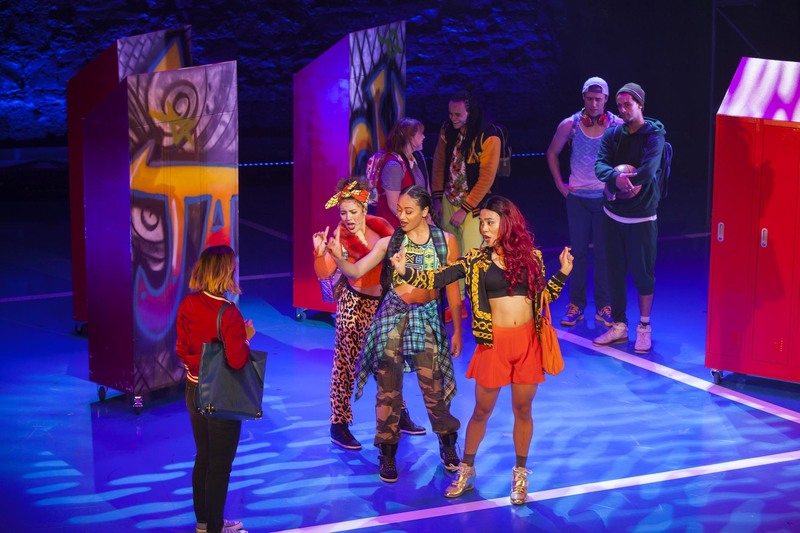 Bring It On plays at Athenaeum Theatre, Melbourne until 23 June 2018. Am here in London – and saw four shows last week. Les Miserable – time #27! Art Garfunkel in Concert – at the Royal Albert Hall. The Chess production was the best show I’ve seen ever! Pity it could only do a 5wk season, with Michael Ball as the main lead. At the other end, Garfunkel was terrible. His voice has gone. And he mistakenly thinks that his reading his puerile poetry is good entertainment. We left at the interval. Thanks so much for these comments, Russell. Wish I could have seen Chess! Art Garfunkel – what a shame.